Amplify, MCCGLC, Chillisauce and Touch Associates have all been named by the London Stock Exchange as Companies to Inspire Britain. 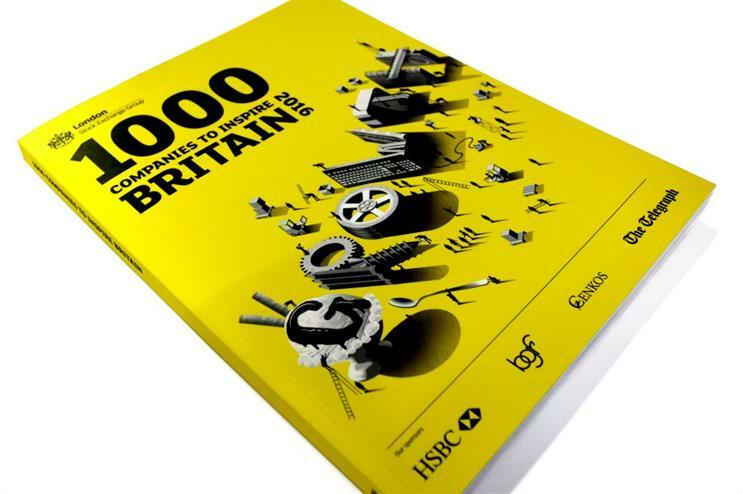 Produced in partnership with The Telegraph, BGF, HSBC and Cenkos, the 1,000 Companies To Inspire Britain report is an annual celebration of some of the fastest-growing small and medium-sized enterprises (SMEs) in the UK. Named as one of the top advertising and marketing companies, Amplify was chosen to head up the Creative Industries section of the publication. Jonathan Emmins, founder of the agency, told Event: "We were initially surprised and consequently chuffed to be featured and selected in [the list]. "Amplify was set up as a creative home for people and clients, so this is a good reflection we’re doing something right. The presentation took place at the opening of the markets, where it became apparent we were woefully underdressed…"
Team-building and events agency Chillisauce was featured as a case study in the 'leisure' section of the 160-page report. James Baddiley, chief executive and founder of the company, said: "We are delighted to have been selected as one of the 1,000 Companies to Inspire Britain 2016. "Our staff, our continued investment in technology and instilling a great social culture within the company have all been fundamental to our success over the years. We sell fun and we make sure our workplace reflects that." MCCGLC, which produces events for the likes of Intel, was praised for its use of design, architecture, video and interactive technologies to create a powerful impact, while 'architects of audience engagement' Touch Associates was noted for its work in the advertising and marketing sector. The Inception Group, owner of venues such as Bunga Bunga, Mr Fogg’s and Cahoots, also made the list.